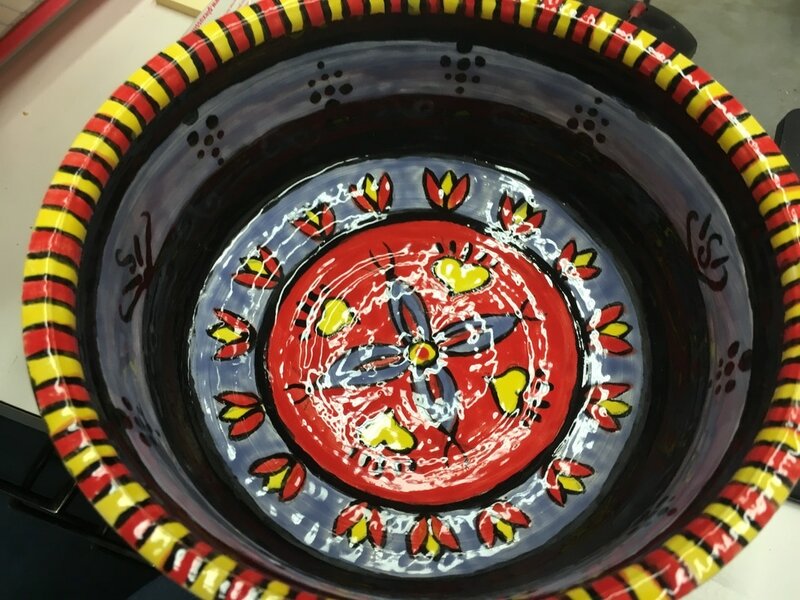 Expressions Tea and Gifts is the place to find quality hand crafted gift items that are made at Bluegrass Oakwood - a training facility for persons with developmental disabilities. We are proud to be able to bring these fine products to the public. ​To see these hand crafted products visit our gift shop - Expressions Tea and Gifts - in Grand Central Place at Light 18 in Somerset, KY. 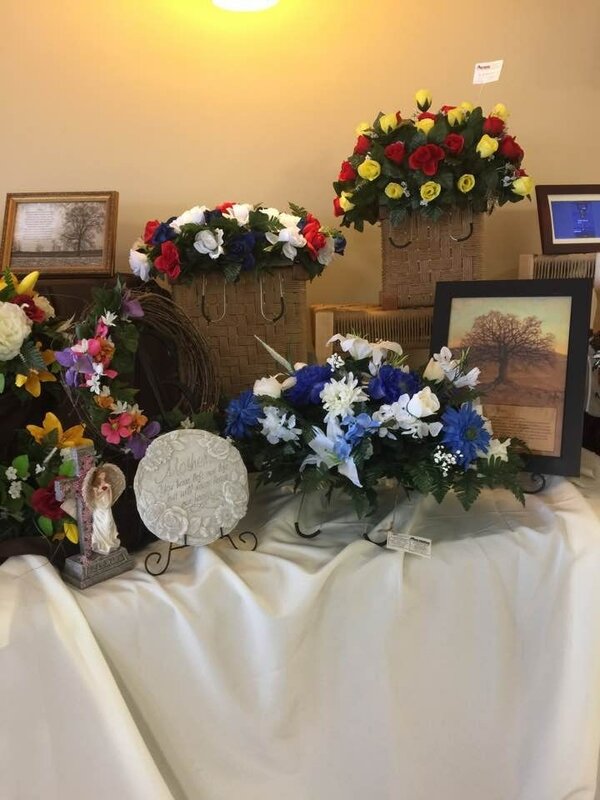 Expressions Tea and Gifts delivers to local funeral homes. We are very proud of our Kentucky Crafted designated Stools! The stools come in a variety of sizes, woods and colors. We have pottery for every holiday and season . Our pottery is perfect for home decor. We have three sizes of corn hole games: standard, child, and tabletop. 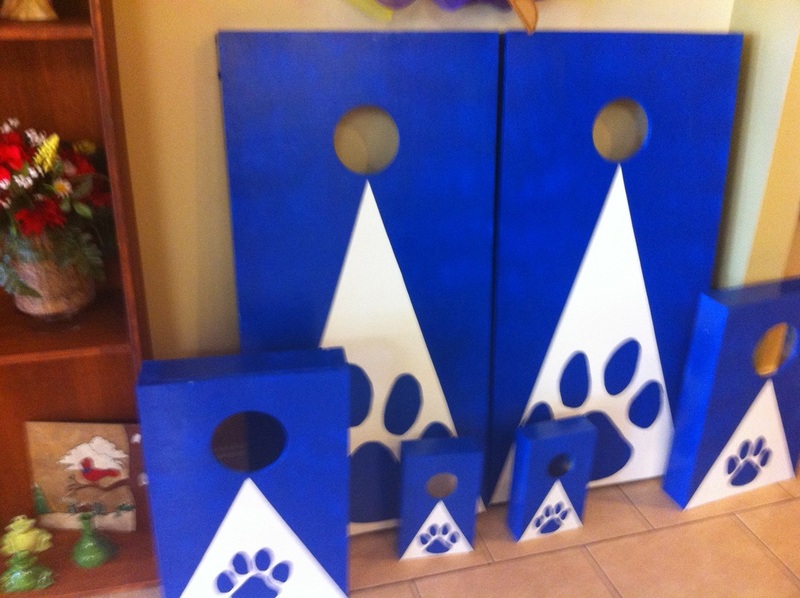 We can also customize the corn hole boards with your design. Show your personality with these colorful, cute and unique key fobs! We can even personalize them with initials or names for a one-of-a-kind item! We have a variety of fleece blankets with different themes! 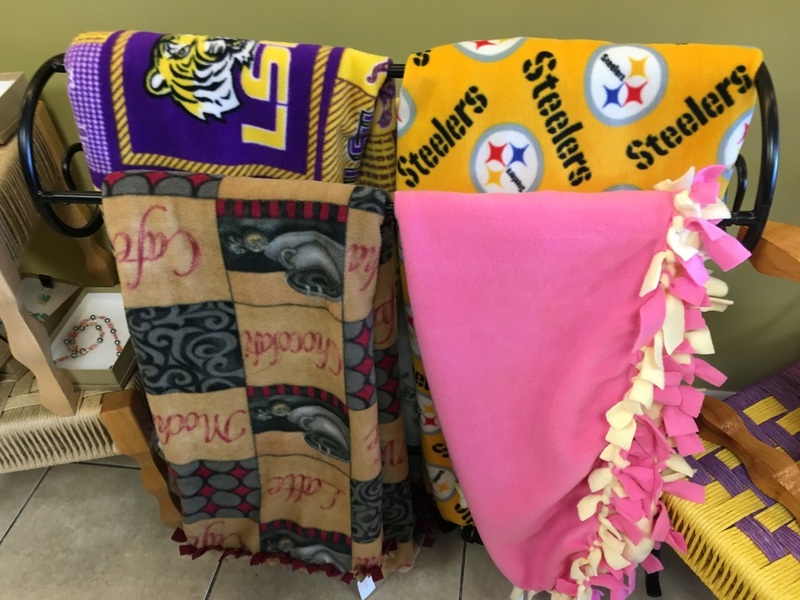 We can personalize a throw for you! 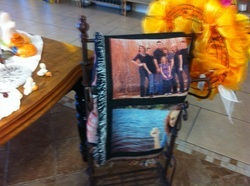 Bring in nine of your favorite photos and we can put them on a beautiful throw - it's a perfect gift! We also have over 75 other items that we can customize for you! 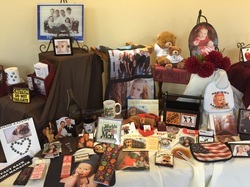 We can make items such as mugs, throws, aprons, mouse pads, ornaments, puzzles and over 75 other items with your personal photos, logos, and designs on them. Stop by Expressions Tea and Gifts for a complete list of all the items that we can personalize for you. We make a vast array of wood products! Picnic tables, Adirondack chairs, coolers, swings, signs, decor, children's rockers, children's table and chairs........... and more! Stop by Expressions Tea and Gifts to see what we have in stock! 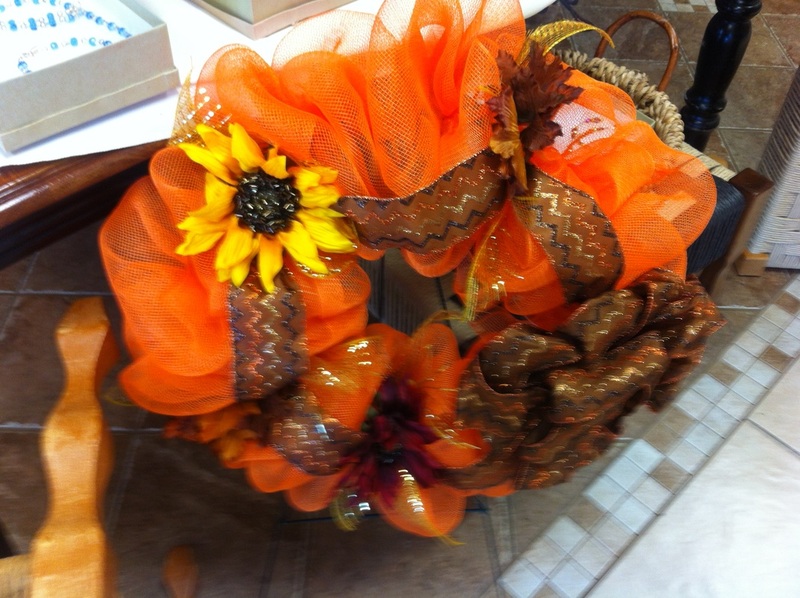 We can also custom make items for you!